5th of June 2013 - Presentation of the European Award for Logistics Excellence. The projects presented during this event are the finalists from the European competition. To be able to join this competition the projects have to be already champions in their own country. So this is the battle of the strongest. Interact with the winners. Use this unique chance to discuss the projects with the persons involved. On June 6th the European Logistics Association organises for the second time a mini conference at the EU Parliament together with Members of the EU Parliament. Supply Chain Collaboration results in less transport, less emission, less road congestion, less risk both financial as well as social. However the challenge also lies in not getting into conflict with the anti-trust regulations. In this mini-conference we want to discuss this topic from different views. 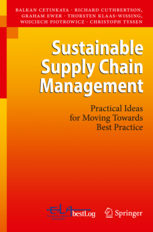 will present their view and experience on Supply Chain Collaboration.